DETAILS: One of New York’s great outdoor events, Broadway on Broadway is a free concert co-produced in the heart of Times Square by The Broadway League and the Times Square Alliance. This free outdoor concert, attended by 35,000 fans, features musical numbers and appearances from almost every play and musical on Broadway, as well as sneak peeks at several upcoming shows opening in the new theatre season. Kelsey Grammer, Tony®-nominated star of the Tony Award-winning Broadway revival of La Cage Aux Folles and five-time Emmy Award winner, will host Broadway on Broadway 2010. For information on Broadway on Broadway and other Broadway events visit the Broadway Concierge Booth at the Times Square Visitor Center on 7th Avenue between 46th & 47th Streets. For more information, log onto http://www.BroadwayonBroadway.com. Free for all the family West End Live offers visitors a spectacular event including showcase performances from top West End shows and musical acts and experience a wonderful array of interactive exhibits from many of London’s top museums, galleries and cultural institutions. The results from the “Poll of the Month” just came in. With an amazing record of 2.000 votes the poll is close And the winner is: SAN FRANCISCO With over 35% of the votes and gets the award of “Favourite Production of Wicked”. Second place was for Oberhausen (Germany) with an amazing poll grabbing 27% of the votes. Surprisingly third place went to Second National Tour with 21%. Australia came in fourth place followed by Broadway, Los Angeles, First National Tour, Chicago and Osaka in that order. Danielle (Dee) Marie Roscioli was born on July 20, 1977 in Easton, Pennsylvania. She is an American actress graduated from Wilson Area High School in 1995 and DeSales University in 1999. While at DeSales she performed in Act One’s production of The Music Man as Marian the librarian and as the beggar woman in Sweeney Todd, she is better known for her role as Elphaba in the smashing-hit musical Wicked, both in Chicago and now performing in Broadway. Roscioli played the role of “Grizabella” in the national tour of Cats from 2002 to 2003. In 2003 she participated in the off-broadway US debut of George Gershwin’s Primrose which was presented in a concert format. In 2005, she played Audrey in Little Shop of Horrors at Northern Stage. She also participated in the workshop sessions of Behind the Limelight and Dangerous Beauty in New York City. Her claim to fame began when she starred as Elphaba in the Chicago company of Wicked. She joined the cast on January 24, 2006 replacing Kristy Cates as the standby for Elphaba. Roscioli went on to play Elphaba full time on December 12, 2006 and was replaced by Carmen Cusack as standby. She starred alongside Erin Mackey, and later Kate Fahrner as Glinda. She played her final performance on June 1, 2008 before taking a temporary break for the summer, during which period the role was played by Lisa Brescia. She returned on August 26, 2008 to close the production. Her final performance was on January 25, 2009 when the production closed after becoming the most successful Broadway Musical in the city’s history. Now she is performing as Offical Elphaba in the Broadway production of Wicked. On September 15, 2007, Roscioli participated in the AIDS walk for Chicago, and was joined by Erin Mackey, and various other cast members from Wicked. Then, on January 12, 2009, she performed with others from the Wicked cast, as well as cast members of other Chicago and tour productions, in Defying Inequality- a cabaret enforcing the value of acceptance displayed in Wicked. 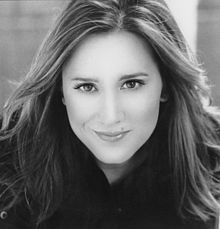 Due to Teal Wicks’ ill-health in the San Francisco production of Wicked, Dee covered the role of standby for Elphaba while Vicki Noon was taking over the role full-time from April 7-19, 2009. She returned again as standby from May 19-24, 2009 as Vicki Noon was on vacation and Wicks was not back to full health. She performed several times opposite Kendra Kassebaum as Glinda and Natalie Daradich (Glinda standby). She is now reprising the role of Elphaba in the Broadway production of Wicked. She replaced Nicole Parker on July 21 2009, marking her Broadway debut. She originally starred oppositeAlli Mauzey as Glinda, who has since been replaced by former Chicago co-star Erin Mackey. She holds the record for the most performances as Elphaba. Million Dollar Quartet has set a Broadway opening night date. The new musical, directed by Eric Schaeffer, which is bound for Broadway’s Nederlander Theatre, will begin previews on March 13 and open on April 11, 2010. Million Dollar Quartet originally opened in Chicago on October 5, 2008, extending its critically acclaimed run and receiving three regional Jeff Award nominations, including Best Production of a Musical. The Chicago production is still playing at the Apollo Theatre, where the show recently celebrated its first anniversary. According to the answers of Mr. Stephen Schwartz in a recent Q&A , Wicked will return to Chicago soon. It is said that will only be for a nine week run and starting date and theatre is yet to be confirmed. Also leading witches are not known by now as former Chicago Elphaba and Glinda – Dee Roscioli and Erin Mackey, are now performing official roles in Broadway.